GOLDEN SINGERS AT CHRISTMAS. 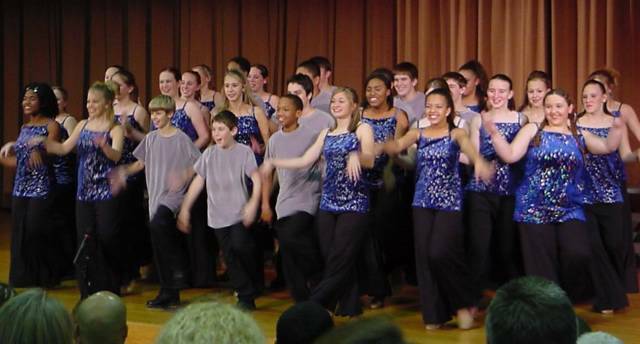 Molly is third from the right in this Golden Singers number from Monday night's concert at Fulton Jr. High. Golden Singers is the 8th & 9th grade show choir.